Sometimes you just need to cast a little extra light on an issue. That’s what the best medical penlight for doctors and nurses will be able to do for you. Penlights are designed to illuminate a very specific area during a physical exam with bright light, so it can be used for general purposes or as a specialist tool very successfully. They are small, convenient, and highly affordable as well, often powered by 2 AA or AAA batteries, so you can have this light whenever you need it. Medical penlights come in many different shapes and sizes which means you’ll have different levels of quality to consider as well. The chart below offers you the chance to compare and contrast the top-rated products in this category quickly so you can find the one that is right for you. Doctors from every walk of life can benefit from having a medical penlight counted amongst their tools. Whether you’re a general practitioner, a dentist, or have a niche specialty, you can examine a darkened area on a patient with ease thanks to the bright light this tool is able to provide. How are medical penlights used? They can help to examine areas near the back of the mouth and the throat to check for inflammation, discoloration, or other health issues. Medical penlights can also be used to examine wounds for problematic developments. Many use these lights to assess a patient’s pupil response. 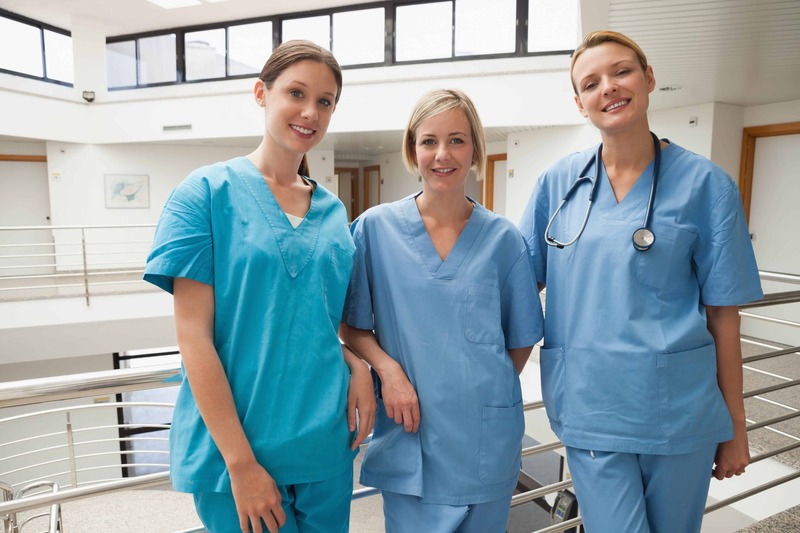 Nurses need a medical penlight for many of the same reasons a doctor would need them. Just because nurses tend to spend more time monitoring and assisting patients doesn’t mean the penlight is unnecessary. The purpose of use is just a little different. Doctors will use this tool to help with the diagnosis of a patient. Nurses will use it to assess the progress of the patient. The one detriment to using a medical penlight for a nurse is that this tool is unable to illuminate a large space very effectively. There will be some applications where a regular flashlight would be a better tool simply because of spacial requirements. In terms of specific patient monitoring, however, it is a very useful tool to have. Who Else Benefits From Owning a Medical Penlight? Anyone who works with items that require fine detail work in darkened areas will benefit from owning a medical penlight. This includes mechanics, law enforcement officials, and even for general home use. This is because they are bright and accurate, allowing a spot of light that is highly controllable to assist in building items, looking for things, inspecting a home, and similar tasks. This halogen professional penlight gives you a very accurate and bright light source that can be used for numerous applications. The solid brass construction of the housing is surprisingly durable, passing every drop test from waist high and below with ease. The whiteness of the light is quite helpful. We wish the threaded plastic flange was designed a bit better for heavier daily use, but for the occasional need for a penlight that stays in a pocket, you can’t beat the value of what this product has to offer. This is a fun little medical penlight that comes with a variety of colors, so it makes for a good distraction toy if needed. It also has a helpful pupil gauge and a measurement tool printed on the housing of the penlight for those moments when you need a reference. The light produced isn’t so bright that it makes you uncomfortable to look at it, but it’s still bright enough to get the job done. The weight is balanced nicely, the housing is durable, and the clip is sturdy. This nursing penlight weighs just over 2 ounces and clips nicely to a pocket, so you won’t have to go searching for your missing light when you need it. Reference labels are printed on the housing for an added benefit and the batteries are replaceable. It’s a white LED light that comes with a 12 month warranty, so the tool is useful and backed with a solid guarantee. It’s perfect for med students, general practitioners, or anyone who needs a focused bright light for some reason. The only negative? The pupil gauge on the silver penlight is really tough to see. This aluminum medical penlight offers a pre-focused pinpoint lens that makes it easy to illuminate the ears or throat in addition to the pupils. A spring button activates the switch and it doesn’t tend to turn on in a pocket like other penlights tend to do at times. The reusable nature of this penlight is nice and the weight is good, though the light is an LED bulb, so not every medical facility may allow their use. Shaking the penlight does seem to disrupt the power connections, so be careful in handling this light for best results. This is the disposable penlight you’ve been wanting. The sealed concentric beam is perfect for medical applications and at 5 inches long, the weight and balance of the penlight is right where it needs to be. Activate it by depressing the pocket clip, avoiding that bothersome clicking sound that happens with multiple activations. When the batteries run around, just toss this penlight out and purchase another one. Battery life is expected to last about a year under normal usage conditions. The best medical penlight reviews will help you find the diagnostic tool you need for your practice, your education, or for home use. Select the best one today and you’ll be able to get work done with effective ease.